guides almost a hundred trips a year and fishes nearly a hundred more. His precise manner leaves little to chance when teaching and guiding. He finds the best fishing for the conditions at hand. He custom fits his clients to the fishing that is right for them. When he sets out in the morning we know that if where there are fish to be caught C.E. will find ‘em. is a native New Mexican and works for us full time--in the shop when he is not guiding. A graduate with honors from our guides school he has demonstrated a great instinctive ability for finding-and catching trout. Although we had to pry the rod from his hot hands we have successfully harnessed his talents towards teaching our clients how to fish Nor style. Ron specialty is hiking into the canyon in search of big trout. His passion and dedication to the sport of fly fishing is something we do not see much of anymore and it is a joy to be around. 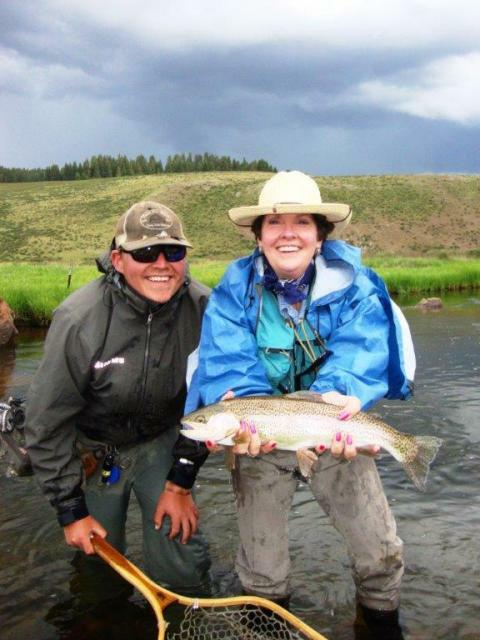 Emily hails from Tennessee where she learned to fly fish as a teenager and spent her youth hiking and fishing her way through the Appalachian mountains. 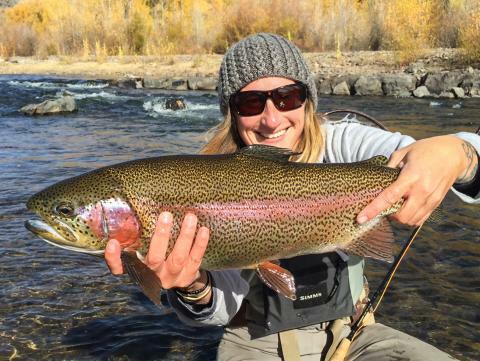 In 2014 she decided that she wanted to take her passion to the next level and pursue fly fishing as a full time career. 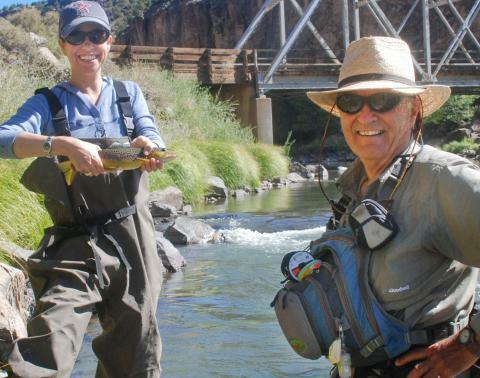 She gravitated west and found a perfect home with the Taos Fly Shop. 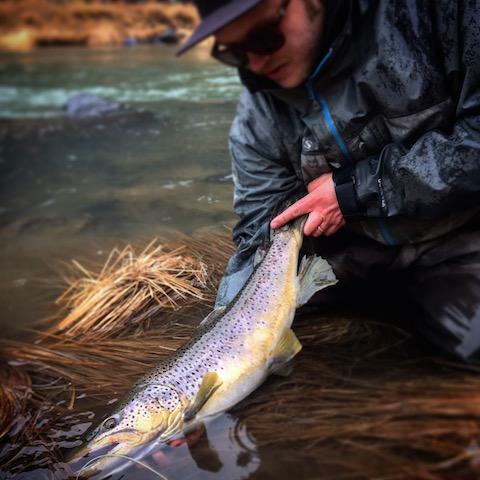 James Garrettson, originally from Northern Virginia, was quickly consumed by fly fishing after receiving a copy of the Curtis Creek Manifesto at age 11. 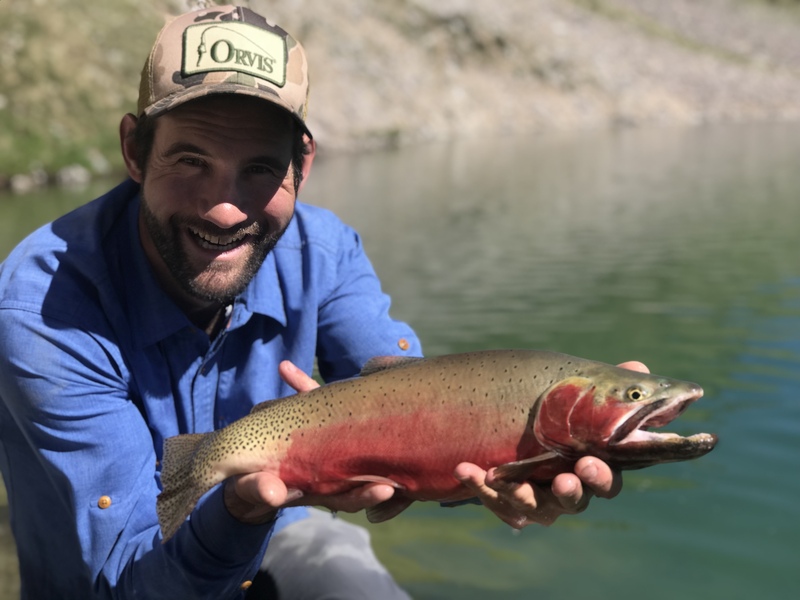 After cutting his teeth on brookies in Shenandoah National Park and striped bass in the Long Island sound, James expanded his boundaries to chase fish around the East Coast, The Pacific North West, and the Rockies. James couldn’t be happier to be surrounded by the fishing obsessed staff at Taos Fly Shop. Whether you bump into him on the river or in the shop, be sure to say hello, he’s always ready to talk fly fishing. 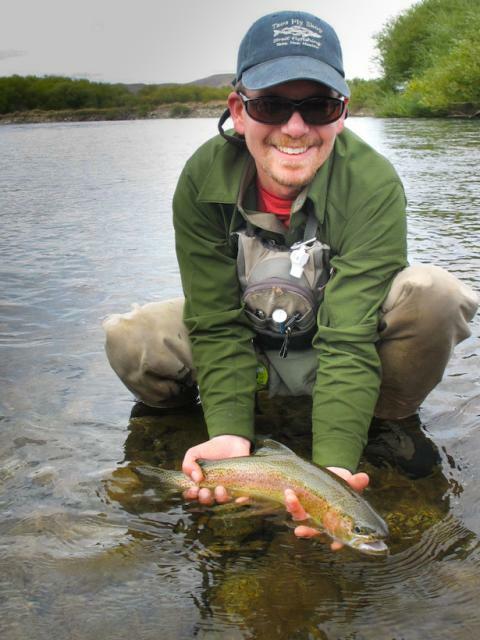 Native New Mexican Evan Claassen is the newest member of the Taos Fly Shop guide staff. He is by far the most advanced rookie we have ever hired. Everybody is drawn to him as he has got an old soul from a bygone era. He should have been born back when hunting and fishing was a matter of life and death. So he bypassed school—somehow--and instead went to work with animals (he later wrapped up his entire high school diploma in one weekend of intense studying. “Why bother with ten years of school?” he says). The man is a flat out “doer”. He has some sort of ability to absorb knowledge from someplace unknown. For instance he seldom reads books about fishing, but knows everything about trout. When you are out on the water with him, quiz him on any subject. 20 to 1 he knows the answer. Regarding fishing or any subject—whatever his response—we promise it won’t be boring! In his first year guiding he never had a skunked client. And did it—not by going to the stocker pools—but by making bold choices. And this has paid off for his clients with loads of trout. He’s a good fit for Taos—bright, squiggly and razor sharp. was born in the Africa bush (ask him to tell you the baboon story). And being raised amongst the forest creatures he has a highly instinctive presence outdoors. In winter he is a professional ski instructor and has been teaching people athletic maneuvers for decades. 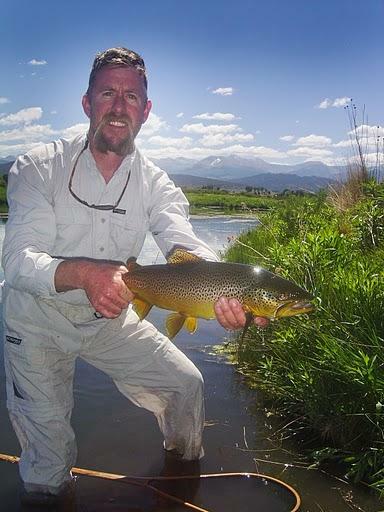 This background, along with his mature and patient disposition, makes him great with beginning fly fishers.